Welcome to Hot Shot Trucking, your dedicated trucking company for expedited shipping services. Our team will get your cargo where it needs to be in a jiffy. 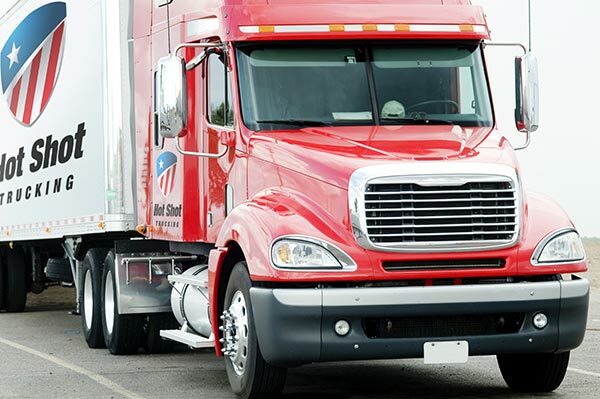 We focus on dedicated trucking services including the use of dedicated sprinter vans for expedited freight, hot shot trucking, and same day delivery. To solve all of your speedy shipping needs, we also have an active network of expeditors. Our team is ready to help you with everything from time-critical freight services to emergency ground services. 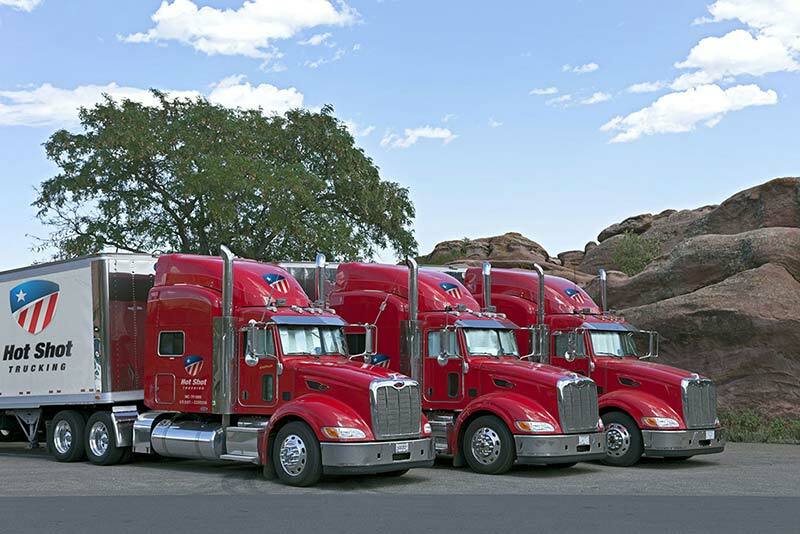 Find out more about our dedicated trucking services and get started today. Our dedicated trucking and freight services offer you the value and expedited shipping you expect. Go far and fast with ground shipping as your preferred shipment method. How do we handle it all at Hot Shot Trucking so your shipment arrives on time every time? To start with we serve as your single point of contact. This minimizes time spent dealing with third-party logistics providers. It also maximizes our ability to focus on your dedicated freight needs. In addition, your cargo is the only cargo on board. This minimizes risks of contamination from other cargo and mislabeling of your shipment. All of this helps to ensure your freight will arrive on time--even when dealing with same day shipping and expedited transportation in the ground shipping sector. 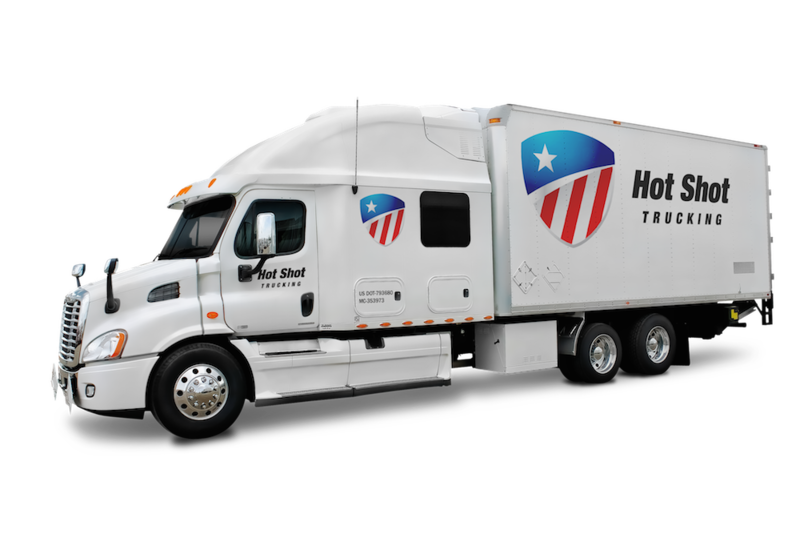 At Hot Shot Trucking, our dedicated freight services optimize your shipping budget while meeting your needs. Whether you searching for general freight, overnight, or economy, our dedicated trucking services are ready to get rolling for your company. We also focus on providing the most applicable shipping services to best meet your expedited freight needs. Learn more about our dedicated sprinter van and straight truck freight hauling services. For local deliveries, a dedicated sprinter van offers speed and economy. By matching the smallest size vehicle possible to your cargo needs, we save you time and money—and get the goods there on time. Consider personal monitoring combined with hot shot services for your freight delivery services. As your Hot Shot Trucking courier, nothing stands in the way of your cargo. Flexible, safe and fast, our hot shot shipping via a dedicated carrier wins every time. Our straight truck cargo hauling services are perfect for less-than-truckload (LTL) freight. Whether you need local and/or regional truck drivers to handle your freight, we will get your shipment dispatched stat. Our network also provides a nationwide freight hauling capacity. This way we can get your cargo to its destination in the shortest amount of steps possible. Combine our straight truck and freight hauling same day trucking services for your expedited shipping needs. Along with last mile deliveries, we will get your freight to its destination in most any situation including an emergency. We also offer large straight trucks and full truckload services including next day delivery via trailer. You need to find the right shipping services for your cargo. We offer expedited shipping and dedicated trucking that includes same day service. By providing a variety of shipping services, we are capable of coming up with the fastest solution possible for your cargo. That is the way that Hot Shot Trucking is able to solve your shipping puzzle for each and every expedited shipment. Call now to speak with our experienced expeditors at Hot Shot Trucking directly to get started.